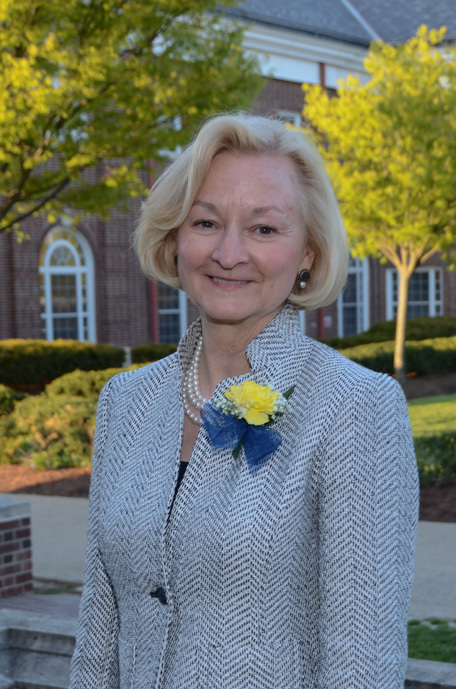 Theresa M. Martinac ’72, MEd ’73 received this year’s Distinguished Service Award, which recognizes an alumnus/a who has provided exceptional service to the College, his or her class, the Alumni Association, and/or the College’s students. 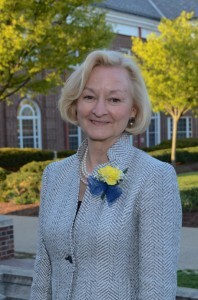 A former president and longtime member of TCNJ’s alumni board, Martincac has dedicated her life to the protection and well-being of New Jersey residents, working rigorously for the Department of Law and Public safety since 1988. Currently serving as the unit supervisor of the Grants Development and Compliance Unit, she has written and administered grants, developed and conducted grant writing and project management classes, as well as served as a grant application reviewer at state and federal levels. In the past, Martinac has worked for Rider University, dedicating her time to advising students, promoting programs, and organizing an Annual Fund Telethon as the assistant dean of the School of Continuing Studies and later as the associate director of annual giving. She began working for the Division of Criminal Justice in 1988, serving in the office of the Attorney General, then as the chief for the NJ state office of Victim-Witness Advocacy (VMA) from 2000–04. As the chief of VMA, Martinac was awarded by the NJ Coalition against sexual assault for her exemplary activism in protecting victims of sexual assault and other devastating crimes. A past member of the Ewing Township Kiwanis club, Martinac’s service to the community earned her a Ewing Kiwanian of the Year Award, as well as the NJ Educational Institutions for Law Enforcement Person of the Year award. She began her involvement with the College’s Alumni Association in 1977 as the treasurer, and she continues to play an active role today. 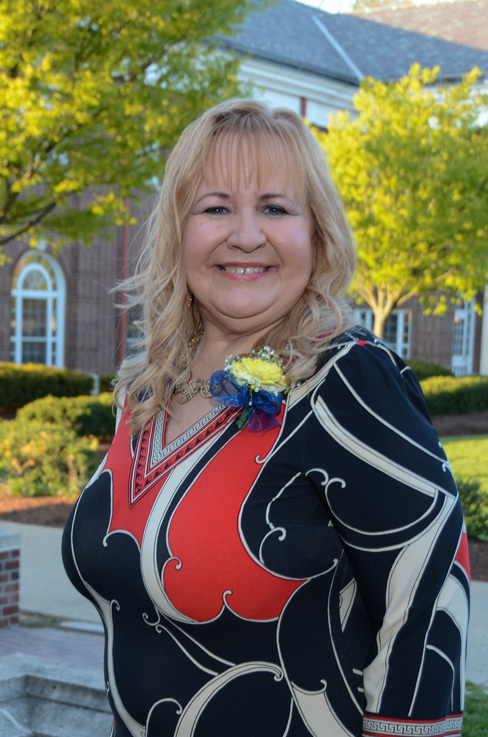 Presently an Executive Board Member of the Alumni Association, as well as the vice chair of TCNJ Foundation’s board, Martinac has endowed a scholarship for vocal music students and actively participates in planning and attending events sponsored by the Alumni Association. She currently resides in Ewing, NJ. Constance Colon-Jones ’83, MEd ’88 received this year’s Alumni Citation award, the premier award given by the Alumni Association. 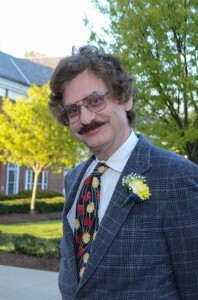 The award is granted to a living alumnus/a who has achieved exceptional success in work and/or community; has demonstrated a sustained association with the College since graduation, including support to the Alumni Annual Fund; graduated 15 or more years prior to nomination; and is not currently employed by TCNJ or its affiliated organizations. Since receiving her master’s degree in education, Colon-Jones has excelled in the field of education, inspiring and enriching students with her exemplary knowledge and experience. Earning her institutional doctorate from Pennsylvania State University in 1998, Colon-Jones has gone on to earn professional development certificates in the areas of business, communications, technology, arts, English, and humanities. She taught for numerous years at Penn State in the speech communication department, where she developed new courses and implemented a language laboratory. Colon-Jones has also served on the multicultural committee for Penn State as a faculty sponsor for SGA. She is certified to teach English to non-native speakers and has made an impact on numerous students for whom English is a second language. In addition to teaching, Colon-Jones has been an adviser and counselor for PSA students of all backgrounds and concentrations. Colon-Jones has written a number of books and articles on topics such as poetry, teaching English to speakers of other languages (TESOL), intercultural communication, and business communication. She has served on editorial boards and is an Editor’s Poetry Choice award winner. Her books include The Culinary Arts, Art Forms, and The Essence of Musical Rhapsodies. Her most recent work is Episodic Scenes, an introspective anthology published in January of this year. Residing in Simpsonville, SC, Colon- Jones actively serves today as an educational consultant, aiding parents, students, and organizations in education planning. She is currently working toward a Juris doctor degree. Anne Dorlon Sears ’79 is the recipient of this year’s Humanitarian Award, which recognizes an alumnus/a who has shown exceptional public-spiritedness or concern for human welfare through philanthropic activities. As cofounder of the “Run, Walk, Roll” 5K and vice president of the Brain Injury Association of Pennsylvania (BIAP), Sears’ passion for supporting those with brain injuries has affected hundreds of individuals throughout Pennsylvania. A fervent advocate for the disabled, Sears is dedicated to preventing brain injuries and improving the lives of those with brain damage, actively fundraising for and participating in brain safety events throughout the state. The recipient of BIAP’s “Service to the Brain Injury Community Award,” Sears serves as the volunteer coordinator of “Heads on Straight,” a support group for people with brain injuries and their families, and is a chairwoman for the “Reaching for the Stars” benefit, which raises funds for special brain safety projects. She uses her professional skills in marketing and social media initiatives to promote the BIAP’s mission by developing and maintaining the Association’s website. Sears’ “Run, Walk, Roll” 5k raised $34,000 this year, and supports the BIAP as well as Camp Cranium, a week-long camp for children with brain injury-related disabilities. Sears also serves on the advisory board for the Traumatic Brain Injuries Model Systems of Care (TBIMS) in Philadelphia, an organization providing new knowledge about treatments and outcomes to individuals and families affected by brain injury. A resident of Yardley, PA, Sears is the director of external affairs for Westminster Choir College. In 2008 she received the Frank Elliot Award for her exemplary service to the college. Sears is also a founder and convener of the Princeton Area Arts and Culture Consortium, as well a former vice president of the organization Nuvisions for Disabled Artists. This annual award is selected by the Department of Music full-time faculty, and recognizes alumni who have made significant achievement in the art of music as a performer, composer, or scholar; or music education either as an educator or through service to the field of music education; or in the promotion of music through community service, professional organizations or entrepreneurial activities. 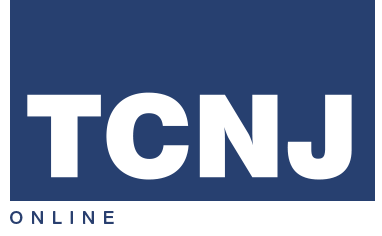 Candidates for the award must have graduated ten or more years prior to nomination and may not be currently employed by TCNJ or its affiliated organizations. Colonel Ray E. Toler ’75, the director of bands emeritus at Texas A&M University (TAMU), has built a band program characterized by an international reputation of excellence. During his 14-year tenure, the bands of TAMU have doubled in size, performed for two ABA conventions and several College Band Directors National Association gatherings, and been selected by the John Philip Sousa Foundation for the 2001 Sudler Trophy. Col. Toler has also been recognized with the Outstanding Professional Staff Award and the Distinguished Achievement award by TAMU. During Col. Toler’s distinguished 23-year Air Force career, he served as the conductor and commander of six Air Force Bands located at Air Force bases throughout the country, as well as in the Philippines, Southeast Asia, and Vietnam. His military decorations include the Legion of Merit, the Meritorious Service Medal, and the Air Force Commendation Medal. Upon retiring in 1988, Col. Toler was chief of bands and music for the U.S Air Force stationed at the Pentagon. Col. Toler is a distinguished graduate of the Air Command and Staff College (’82) and the Air War College (’84). He was commissioned in 1997 to compose the “George Bush Presidential March” and served as president of both the Southwest Conference Band Directors and the Big XII Band Directors Association. He resides in Lake Grandbury, TX, with his wife, Michaelseen, and maintains an active conducting schedule. Marvin Rosen ’75 has achieved exceptional success since graduating from the College in 1975 with a BA in music education. Earning his Master of Music degree from Manhattan School of Music and his Doctor of Education from Columbia University in 1985, he has taught, performed, and produced music for various prestigious institutions. Rosen’s zeal and passion for music, education, and performance is seen and respected by musicians and non-musicians alike, and his excellence in teaching leads many of his students to stay in touch with him following graduation. As a music history teacher at the Westminster Conservatory, Rosen shows children between ages of 8 and 18 fascinating connections between musicians of the past and present. By comparing compositions throughout time to the pieces by today’s composers, Rosen excites his students, connecting them to pieces of music decades, or even centuries, old. Rosen also hosts a radio show, “Classical Discoveries,” which showcases little-known classical music of all time periods. He often plays music of young composers, showcasing artists who often get very little recognition but have produced very interesting music. In 2005, Rosen was awarded the Deems Taylor Broadcast award from the American Society of Composers, Authors, and Publishers for his work on the radio. Rosen currently resides in Princeton, NJ, and teaches at the Westminster Choir College and the Westminster Conservatory of Music.